Replacement net for round 13ft trampoline, 3.96 m in diameter. 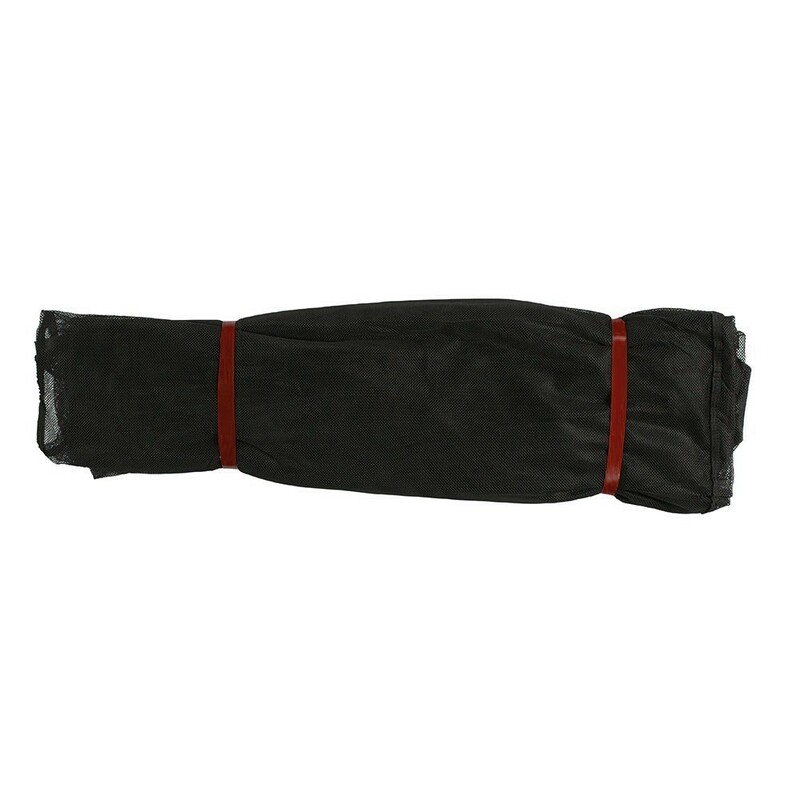 Premium replacement net for a 13ft 390 garden trampoline. 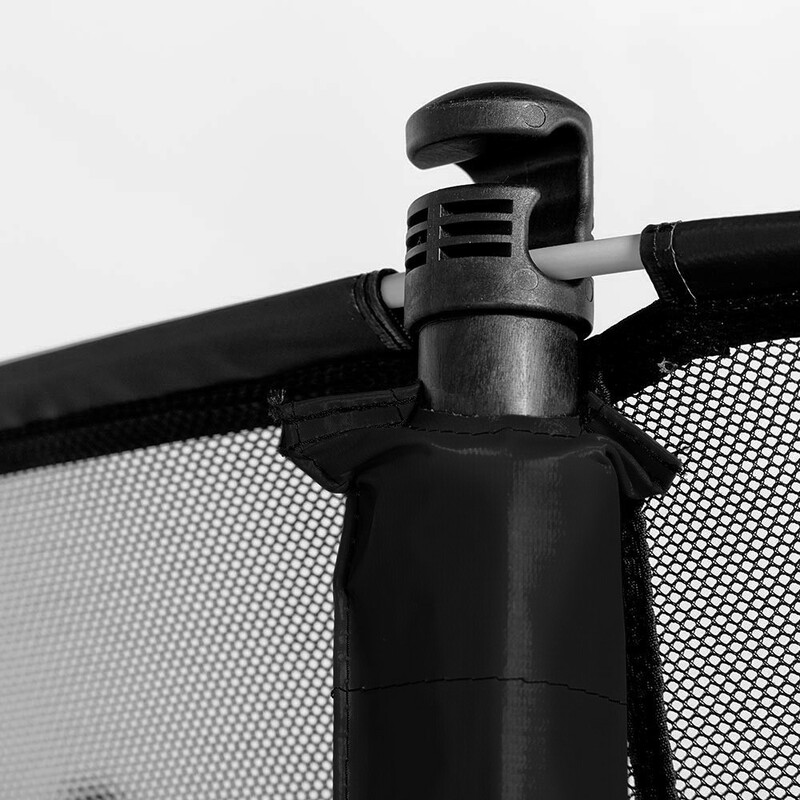 Sold separately without net posts or fiberglass rods, the textile protective net will allow you to maintain an excellent performance level for your trampoline, without having to change the entire structure! - Compatible with round trampolines with a 3.96m diameter (external diameter, overall). and where the original net had 8 net posts with cap that can hols the fiberglass rods (not included with the net). 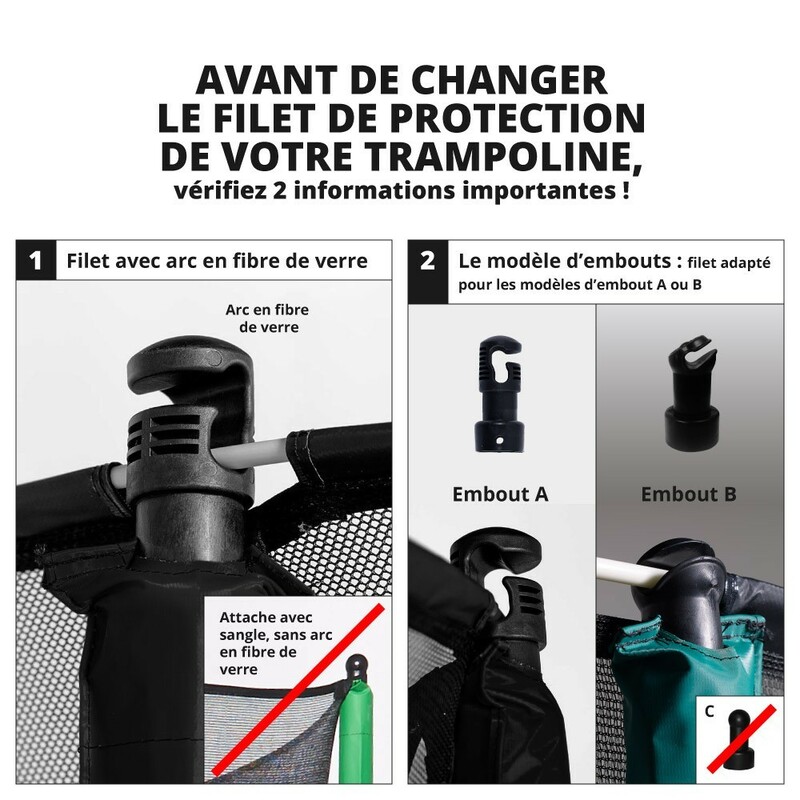 - Fine soft and resistant mesh in polyester: the net will stop jumpers in the event of a fall outside of the jumping area, without causing any injuries. - Overlapping entrance: the users can access the trampoline through an overlapping opening in the net. It is easy to see with its red and grey borders, it closes with a Velcro strip and a set of clips. - The 13ft. Black Booster 390 trampoline's original net sold from April 2017. 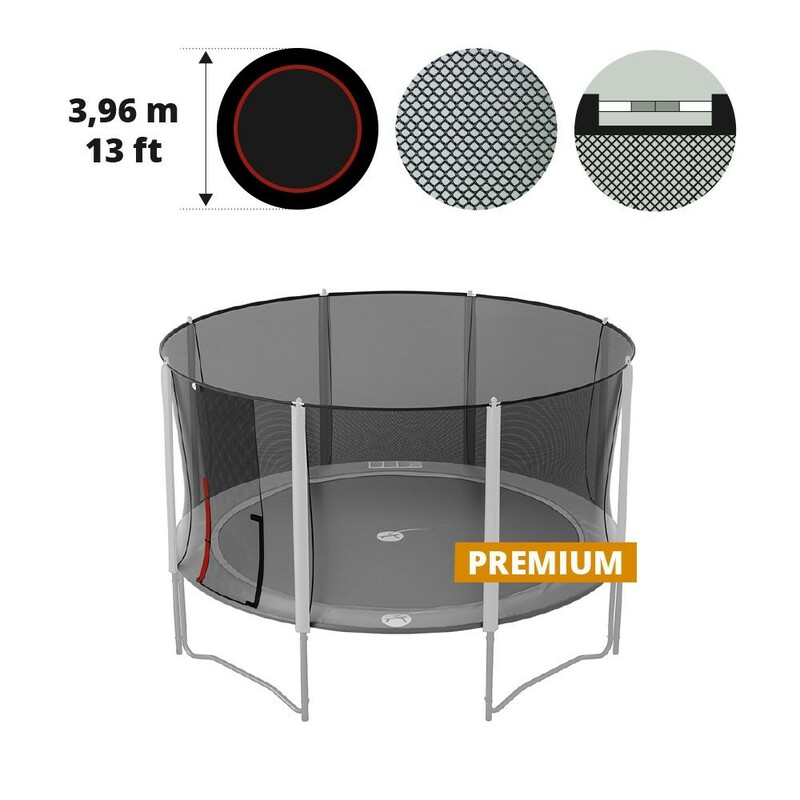 However, it can fit any round trampoline with the same features here announced.